The chicken wings in the freezer called my name. 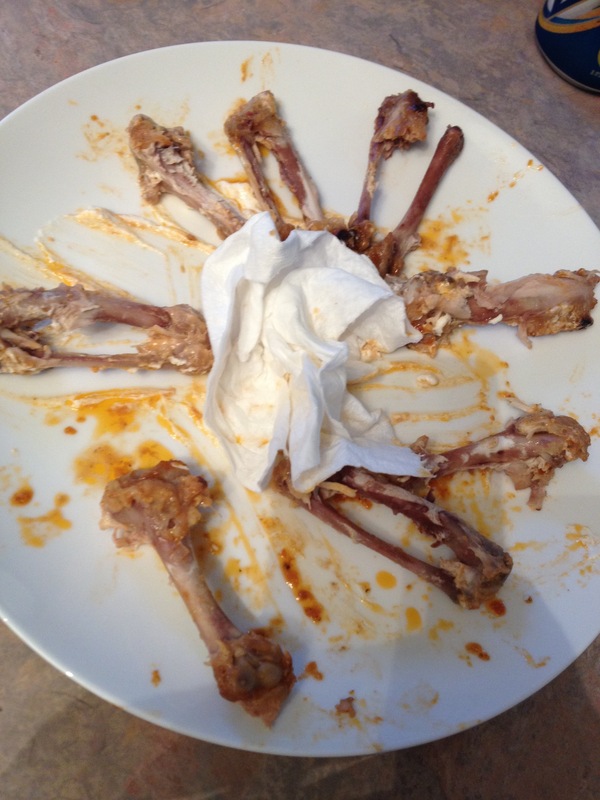 Steve was away, I was hungry, and there appeared to be the perfect number of wings for just one. Oh, twist my arm, whydontcha?! I concocted a homemade sweet and spicy sauce from ketchup, Trader Joe’s sweet chili sauce, butter, salt and pepper, and chipotle hot sauce. 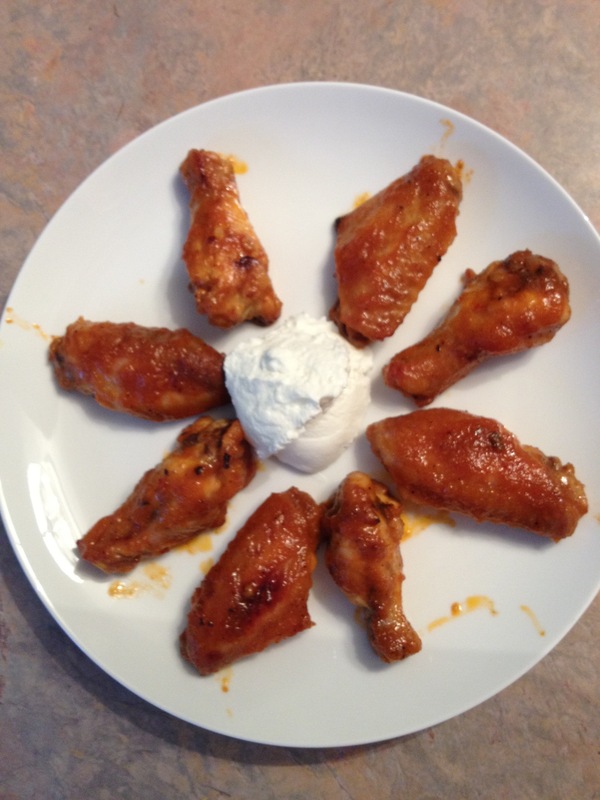 I roasted the naked wings for a short bit, then tossed them in the sauce. Then I broiled them for a bit. That’s greek yogurt in the middle. Odd, but delicious. And so ends the tale of Kelly and the Wings.